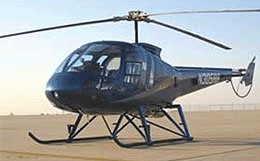 The Bell 412 is a utility helicopter manufactured by Bell Helicopter. 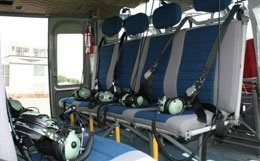 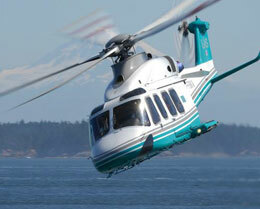 It is a development of the Bell 212 model, the major difference being the composite four-blade main rotor. 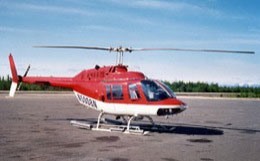 The 412 model was followed by the 412SP (Special Performance) version featuring larger fuel capacity, higher takeoff weight and optional seating arrangements. 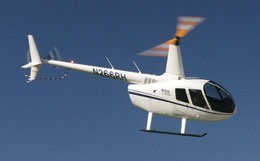 In 1991, the 412HP (High Performance) variant with improved transmission replaced the SP version in production. 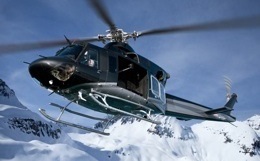 For more information about chartering, leasing or buying a Bell 412 please contact us by calling +44-20-3874-8091 or send us an email here.